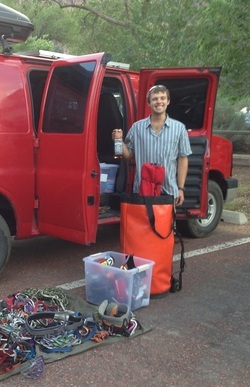 When you go cragging in a Basecamper Van, know you're cragging in style. 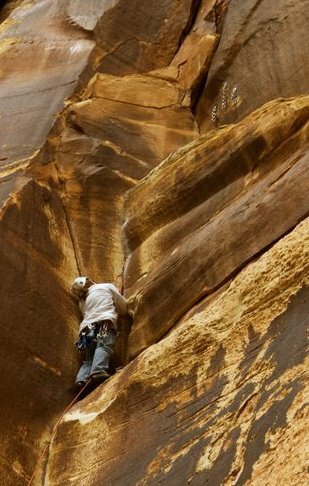 Like this safety nut @benwhiteskis packing precious booze in a glass bottle on a big wall in Zion. "Decant the sending juice into a nalgene, son!" ﻿The vans are modified with secondary battery systems to keep all of your electronic gadgets juiced so you can post gnarly photos to social media when you get back to civilization. "Like!" Enjoy bouldering? Yeah, but crash pads are a PITA to travel with. So leave yours at home and use ours. There's plenty of room. Attack Chihuahua not included.